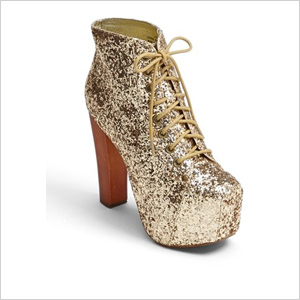 While some girls prefer winter boots that were made for walking, others like sky-high booties that just make an over-the-top statement! Read on to see what your boot of choice says about you. Sky-high booties don’t just portray a very dramatic style — they demand attention and create a strong presence, points out Megan Brandle, Lead Client Consultant at Mackenzie Image Consulting. “One advantage to making this statement with your booties is that you give off an extremely confident and assertive image.” Pair them with tights, a mini skirt and an oversized sweater and you have a look that is sure to grab attention during the colder months, adds fashion blogger Bianca K. Vaccarini of the In Between Girls. 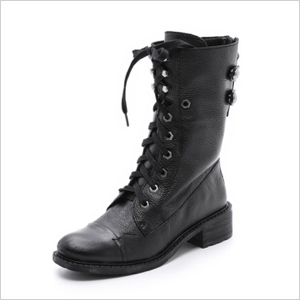 The girl who’s into combat boots probably has an inclination toward punk or grunge style, notes style consultant and author Sherrie Mathieson. “This look has a tough edge and is often worn by a strong woman who wants to convey a masculine side.” According to Bianca, combat boots also reflect a utilitarian fashion sense. 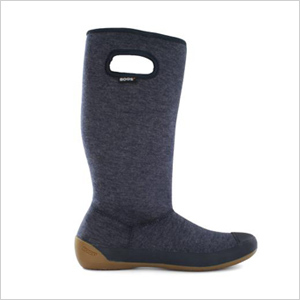 “They can be worn anywhere, paired with anything and let you take full advantage of the colder months by keeping your feet warm. 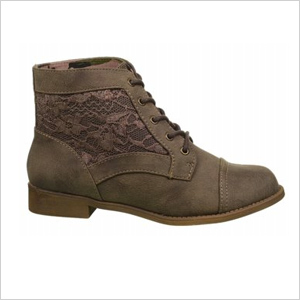 Combat boots add a bit of edge to a feminine outfit and go great with a pair of jeans,” she says. 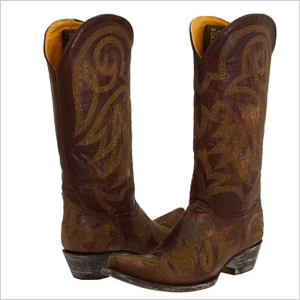 Can’t get enough of boots that are easy to walk in? This shows that you are ready for anything and that you value comfort more than (or just as much as) style. “Some supportive boots can be fashionable too, like certain rain boots,” says Bianca. “Cozy boots are great for playing with the little ones on a snow day or running to the store to pick up groceries.” The woman who prefers them tends to be practical, and she’s also a family woman who values quality time with her partner and kids. Fur boots are meant to provide warmth and most look great on the ski slopes. Besides choosing them as a practical purchase in a cold climate, Mathieson says the woman who wears them as a fashion statement wants to project physical vitality, sportiness and a kittenish sexuality.